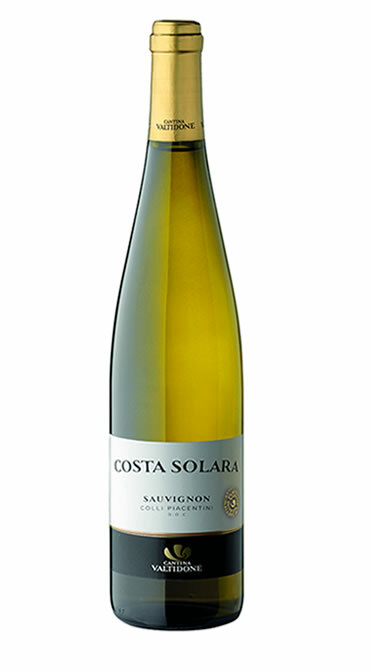 Intensely aromatic and refreshing, Sauvignon Blanc gives wines that are mainly eaten young. Its Region of Origin, as read in the World Atlas of Wines by Jancis Robinson, is the Loire, in particular the area around Sancerre and Pouilly-sur-Loire, where the Pouilly-Fumé is produced and where the vine can vary a lot depending on the vintage. If grown in too hot climates it can lose its typical acidity and aroma: in Australia and California it is often too heavy. Controlling the excessive vigor of the vine, this variety grows very well in New Zealand, especially in Marlborough, as in the cooler areas of South Africa. In the Bordeaux region it is often used in a blend with the Sémillon to obtain both dry and sweet wines. The Sauvignon vine along with Chardonnay is the most widespread and famous white berry variety in the world, and from it we derive some of the most known and sought-after white wines. The origin of its name derives from “sauvage” (wild) so the etymology would correspond to that of our Lambruschi (from the Latin “vitis lambrusca”, ie wild), with which there is in fact some distant affinity. There are at least two biotypes, the small or yellow Sauvignon and the coarse or green Sauvignon, less widespread and which corresponds to the Sauvignonasse, similar to the Tocai Friulano. In Italy, the most suitable Regions for the breeding of Sauvignon are, historically, Friuli and Alto Adige, but they can also find excellent declinations in other territories, including, ça va sans dire, Piacentino. Sauvignon Blanc is a grape considered aromatic and its presence in wine is easily recognizable thanks to its richness and variety of aromas. The aromatic characteristics of Sauvignon Blanc are strongly influenced by three main factors – certainly valid for any other grape – and which greatly affect its personality. The two main factors are the climate of the place where the grapes were grown and the degree of ripeness at harvest time. The third factor, which in this grape represents an unusual condition, is determined by fermentation and aging in cask. Remember that the most frequent and typical way of vinification of Sauvignon Blanc is carried out in steel containers and in any case inert. Regardless of the way in which Sauvignon Blanc is vinified and the place where it has been grown, this grape always presents itself with an elegant aroma that distinguishes all the aromatic grapes and which directly recalls the scent of the grapes. The main gustatory characteristic of Sauvignon Blanc is certainly its strong acidity. In general, its wines are produced with a medium-high alcohol content, a factor that is also justified by the remarkable acidity of the grapes and therefore requires appropriate “corrections” in order to be balanced. Although the balance of the wine is more or less correct, acidity is the characteristic that allows to identify mainly Sauvignon Blanc and this quality is certainly very appreciated and appropriate for this type of wine and for the aromatic nature of the grape. Sauvignon Blanc produces wines with rather varied structures and bodies that depend on the climate in which the grapes were grown, the type of soil and the maturation. The wines produced with this grape can have rather delicate structures up to a good body, a feature that is often determined by the way of vinification and in particular the use of the barrel. The bunch of Sauvignon Blanc is rather small and despite being widespread in the vast majority of the wine-producing countries of the world, to give the best of itself it needs rather particular cultural conditions. Sauvignon Blanc ripens quite late, but can also be harvested early depending on the style of wine to be produced. Just the moment of its harvest has a critical factor: if harvested too early it turns out to be too acidic and not very aromatic, while if harvested too late it loses some of its typical acidity. It is also quite sensitive to the formation of mold – in particular to the Botrytis Cinerea – therefore it requires more attention in cultivation. Generally, the formation of Botrytis Cinerea is desired for the production of muffled wines, such as Sauternes and Barsac, in which Sauvignon Blanc is often used to add acidity to the Sémillon. Sauvignon Blanc prefers fresh climates – such as that of the Loire Valley – a condition that allows you to develop the best and most refined aromas, too precious to be covered by the aromas of the barrel. Not surprisingly, it is precisely in the warmer countries, such as California, that we tend to ferment and ripen this grape in cask. Excellent accompaniment to light appetizers, pasta with fresh vegetable sauces and gazpacho, fish dishes such as ceviche and octopus or tuna carpaccio, crustaceans, fresh cheeses. It is excellent in combination with all dishes of vegetarian cuisine and is a valuable companion of the ethnic, especially if spicy. Curiosity: it is also used in vinotherapy due to its calming properties.